Sit Back and Relax. Borrow Local. Here's a simple trick to significantly reduce the length of your mortgage and save you thousands of dollars over the course of your loan: Make additional payments that go to the loan principal.  Borrowers use different methods to meet this goal. Paying 1 additional full payment one time a year may be the easiest to arrange. However, some folks will not be able to swing such a large extra payment, so splitting a single additional payment into twelve extra monthly payments is a fine option too. Finally, you can pay half of your mortgage payment every two weeks. These options differ a little in lowering the final payback amount and shortening payback length, but they will all significantly shorten the duration of your mortgage and lower the total interest you will pay over the life of the loan. It may not be possible for you to pay more every month or even every year. But you should remember that most mortgage contracts allow you to make additional principal payments at any time. You can benefit from this rule to pay extra on your mortgage principal when you get some extra money. For example: a few years after moving into your home, you receive a huge tax refund,a large legacy, or a non-taxable cash gift; , you could pay this windfall toward your loan principal, resulting in significant savings and a shorter payback period. Unless the loan is very large, even a few thousand dollars applied early in the loan period can produce huge benefits over the life of the loan. Washingtonian Mortgage, LLC can walk you At Washingtonian Mortgage, LLC, we answer questions about money-saving strategies every day. Call us: 410-451-2755.